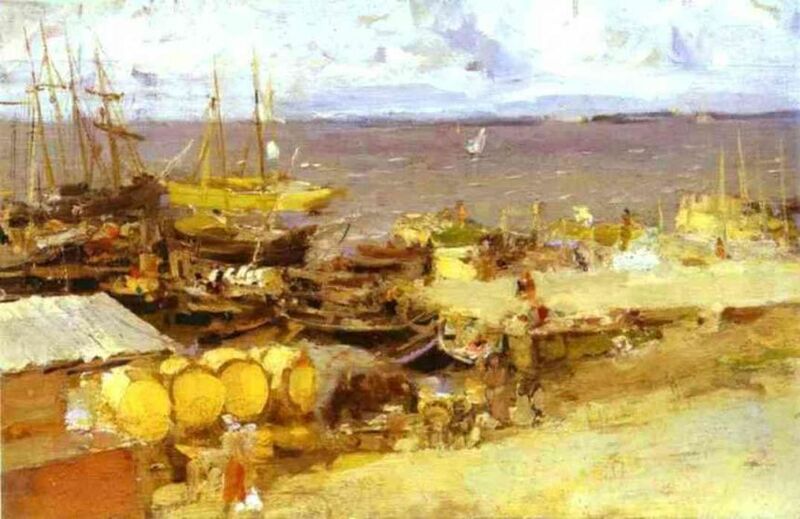 Painting by Konstantin Alekseyevich Korovin (1861–1939). This artist worked in a loose, colorful style, doing more interiors and people going about their days then landscapes. His works often seemed to be lit by a light we don't normally seem, and the objects in the scene appear to be giving off their own light. The outdoor scenes he has done are never peaceful; there is a wind blowing through everything, or else the very spinning of the Earth animated every location and gives them a dynamic appearance.